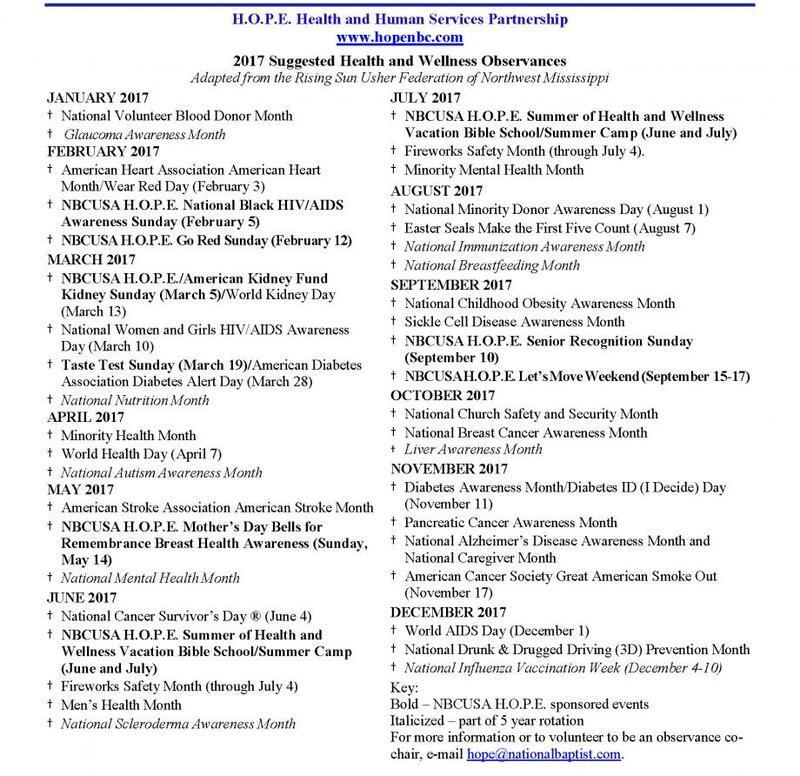 Following are the suggested health and wellness observances for NBC, USA, Inc. Churches for 2017. Visit often for additional resources that will be published throughout the year to assist you.